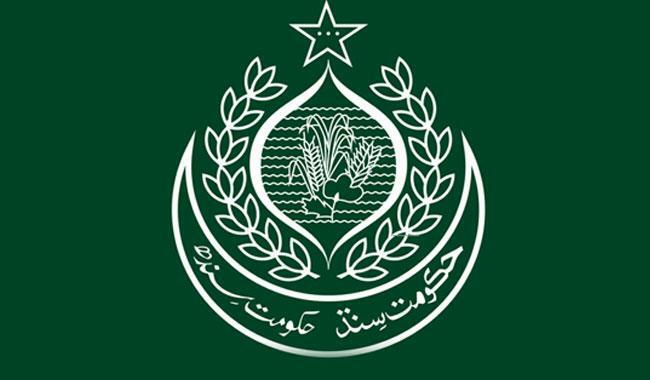 KARACHI: In a bid to ensure transparency and merit in the recruitment process, Sindh Chief Secretary Rizwan Memon has ordered an open enquiry into the alleged political appointments of 221 Excise and Taxation Officers (ETOs) in the provincial excise and taxation department during the past few years, Pakistan Today has learnt. Interestingly, all these appointments are sons and blood relatives of the ruling party’s MNA and MPAs who did not qualify for the important and lucrative posts, according to sources. With the initial investigation, sources said that enquiries director and enquiries and anti-corruption establishment (ACE) chairman have recommended to conduct an open enquiry against officers or officials of the department for their involvement in the malpractices. Sindh chief secretary, being the chairman of the anti-corruption committees I and II, has ordered to go against the corrupt and ensure merit in the whole process. According to sources, on July 27, 2008, and July 13, 2008, the excise and taxation department had advertised different vacant posts in the local dailies, however, the total number of vacancies was not mentioned. A formal written test was conducted on August 31, 2008, in which more than 201 inspectors were appointed without the announcement of the written test results, sources added. “The overall recruitment process faced a menace of nepotism and favouritism and the relatives of MNAs, MPAs and PPP leaders were selected. All selected inspectors were sent for six months training at Police Training Center, Sakrand. Ironically, at least 82 inspectors, who did not pass the written tests, were declared passed at the later stage and some nine failed candidates passed by obtaining grace marks due to their strong political backgrounds”, the sources further disclosed. Muhamamd Ali Mirza, son of former Sindh home minister and ex-PPP leader Zulfikar Mirza, Muhammad Ali son of Ghazanfar Jakhrani (a close relative of MNA Aijaz Jakhrani), Amir Khan (nephew of MNA Rafiq Jamali) are amongst those were given grace marks. Furthermore, sources claimed that such recruitment continued till 2010 and the total number of excise inspectors climbed to 221, which was 201 earlier on March 8, 2011. The affected candidates had knocked at the doors of Sindh High Court and the notices were issued to excise and taxation secretary, five directors, 25 ETOs and 221 inspectors, however, all went in vain. Later, the affected candidates had approached the Supreme Court of Pakistan and it was ordered that all 46 candidates on merit should be recruited in the department, sources said, adding that instead of appointing these affected people, ten other excise inspectors were recruited by violating all the rules and regulations for a period of six months. Sources told the names of these candidates as Zahid Majeed, Abdul Rehman, Maqbool Zardari, Asif Ali, Kashif Aki, Fawad Akbar, Adnan Razi, Umair Chandio, Mansoor Haleem and Basheer Ahmed Unar. The department got the summary for the regularisation of these ten inspectors approved. When contacted, Excise and Taxation Secretary Abdul Haleem Shaikh told Pakistan Today that there were a few complaints against the appointments of ETOs, however, no any enquiry was launched.